Invasive species such as the bullfrog eat native fish, frogs, salamanders, snakes, birds and turtles and controlling them takes billions. 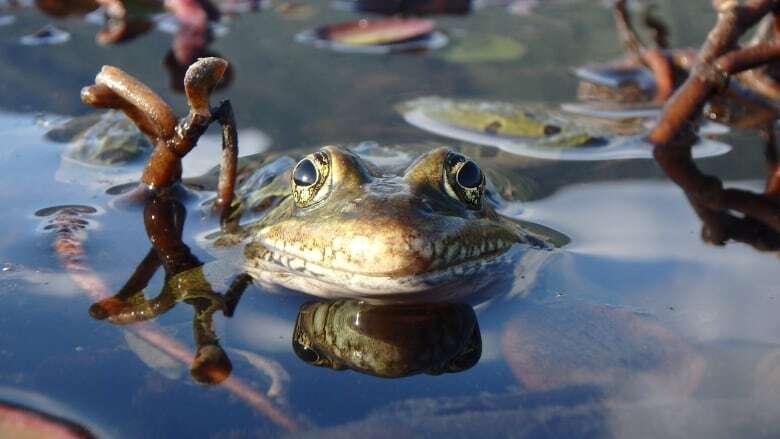 For two decades experts have been carefully nursing a community of endangered northern leopard frogs in B.C. 's Kootenay region but invasive bullfrogs and fish threaten to muscle in, potentially swallowing years of work. Purnima Govindarajulu, a small mammal and herpetofauna specialist at B.C. 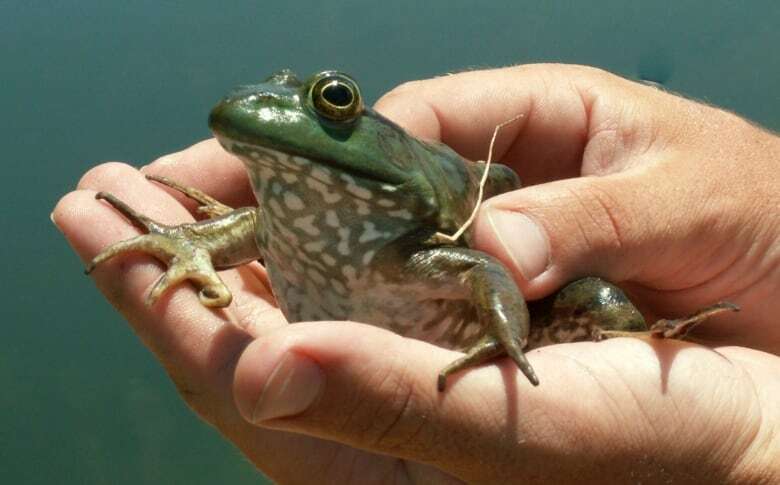 's Ministry of Environment, said disease and invasive fish already mean the endangered frogs aren't thriving as they should be in a wetland in Creston. "We call it the American bullfrog action team," she said, lowering her voice with mock authority. "The defenders of the northern leopard frog," she added with a chuckle. Bullfrogs overtake parts of B.C. A common thread to the threat to many of Canada's species at risk are invasive species, said Gail Wallin, executive director of the Canadian Council on Invasive Species. "So not only do invasive species take over our natural environment, they actually threaten species at risk. They have a major environmental impact." "When we look at these huge economic costs, we have to recognize that we're only looking at samples, we're not looking at all the costs of the total number of invasive species in Canada," Wallin said. 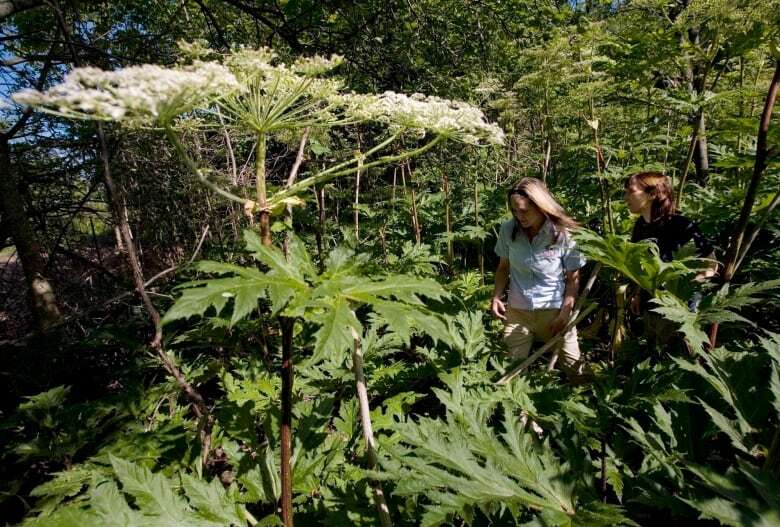 The Canadian Food Inspection Agency classifies invasive species as plants, animals and micro-organisms in an area where they've never been before. They can adapt, spread quickly and don't have natural predators in their new environment. 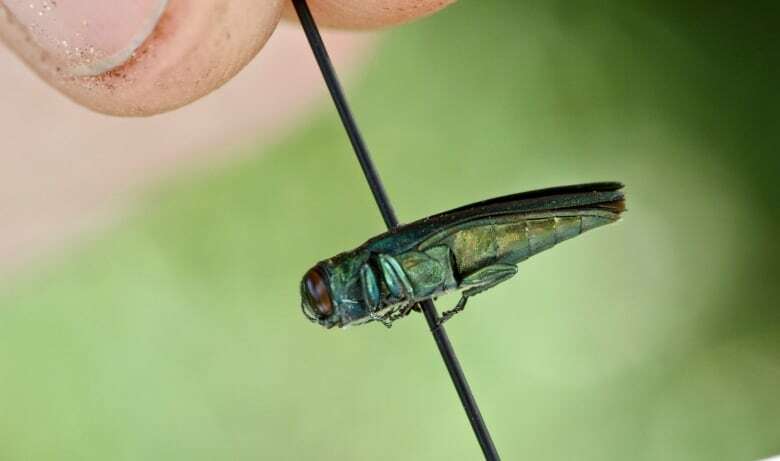 Insects like the emerald ash borer, which kills ash trees, have ravaged hundreds of thousands of hectares of Ontario's forests. Giant hog weed with its highly toxic sap has taken over entire valleys in B.C. and nematodes have had devastating impacts on Canadian crops. Most invasive species are moved by people, Wallin said, adding that's a focus of their education. "We've got way more trade coming in now so we need to be more conscious of that. Other countries have new regulations in place, making sure that before you ship into our countries that your cargo is clean of invasive species," Wallin said. "We can do more than what we do now. It's a big world and we're all travelling. So yes, regulation will be really important." The problems spread because people aren't aware of the risks, said Nisbet. "They don't have a negative intent in mind. We should try not to place the blame on Canadians who just aren't aware, we try to place a lot of effort in raising that awareness." Govindarajulu said many people don't realize it's illegal to move or remove frogs from their environment and it's also against the Wildlife Act to bring them back because they could be introducing disease into the rest of the population. "Often it's children and often people mean well. It's not like they're being vindictive, they want to help frogs and they think they are." "Whether it's cleaning your gear after you go boating, or if you go hiking, cleaning your boots, cleaning your pets, getting all the seeds and plant material off, buying local firewood, buying native plants, just taking these sorts of actions to prevent the spread of invasive species further." Big pig problem: What to do after Yukon's wild boar fiasco?